Scuba Diving is an equipment intensive sport, in the same manner as so many other leisure pursuits (for example you cannot go fishing without fishing gear), you cannot go diving without scuba gear. 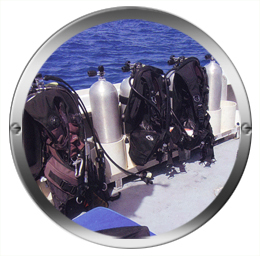 Scuba equipment must be looked upon as LIFE PRESERVING EQUIPMENT and your decision and choice of purchase is directly related to the value you place on your life whilst underwater in a totally foreign environment. We also stock an extensive range of snorkeling equipment as well as swimming accessories for both adults and children. Our knowledgeable staff can assist you in purchasing products that suit your needs and fit you well.